For my 2nd MWLM it’s my pleasure to introduce ‘Bella T & Co’ – the loveliest WAHM who makes the most divine bibs and headbands for little ladies – they’re so so pretty – crochet and florals and lace and tassels oh my – who knew dribbling could be so adorable?! Tell me about how your business came about: starting this business came from when I had my first baby Isabella. She was constantly in bibs and I couldn’t find pretty bibs anywhere for her to wear when we were out and about. So I decided to start a little business making pieces I truly loved myself and would put on my little one. Our bibs allow your little one to dribble in style! They are made from 100% cotton and delicate trims to ensure they are the perfect accessory for any special outfit or cccasion. What is your current favourite product? My current favourite product would have to be the reversible bib. You get 2 in 1. Dirty one side and simply turn it around for a fresh new look. Tell me about you: I’m a Mummy of one who just loves all things handmade. I love supporting others Mums in business as they are out to achieve the exact same thing as me – be a stay at home Mum and run a small business to provide for your family. 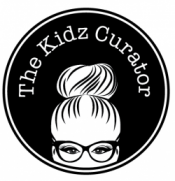 Special offer for The Kidz Curator followers: Contact us via DM to get 15% off your first order. Thanks so much for sharing with us Bella T & Co and I’m wishing you every success with your amazing business!